← Chat Mobile App in Africa: MXit under threat of WeChat? 1 million coming! 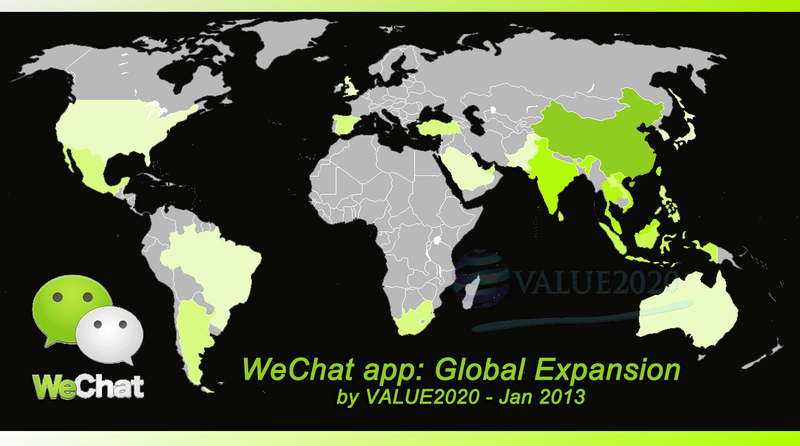 First World Map of WeChat User Base! WeChat is a multimedia chat app combined with a social network. Growth rate is higher than Facebook 24 months after launch. The service will be very powerful for brands: contrary to Weibo, it enables to build a one to one relationship. Later and after additional developments, users and brands are likely to use the app for Location-Based Services. Without local marketing plans outside Asia, WeChat is spreading also on the other four continents. Tencent Strategy to expand outside China since 2010 is becoming a reality in 2013. We explained a few new features we expect from WeChat in 2013. This entry was posted in Chinese Internet, Internet Strategy and tagged 2020, africa, america, app, asia, australia, base, china, europe, Internet, map, mobile, tencent, user, value, wechat, weixin, world. Bookmark the permalink.